The title just about says it all, really. Right at the end of our trip, we decided to have a little stroll upstream, along, and mostly in, the River Tarn. There’s a small village just beyond the campsite, on the opposite side of the river from the road, which we wanted to take a peek at. It’s supplied by means of a cable stretched across from the road and we were intrigued. 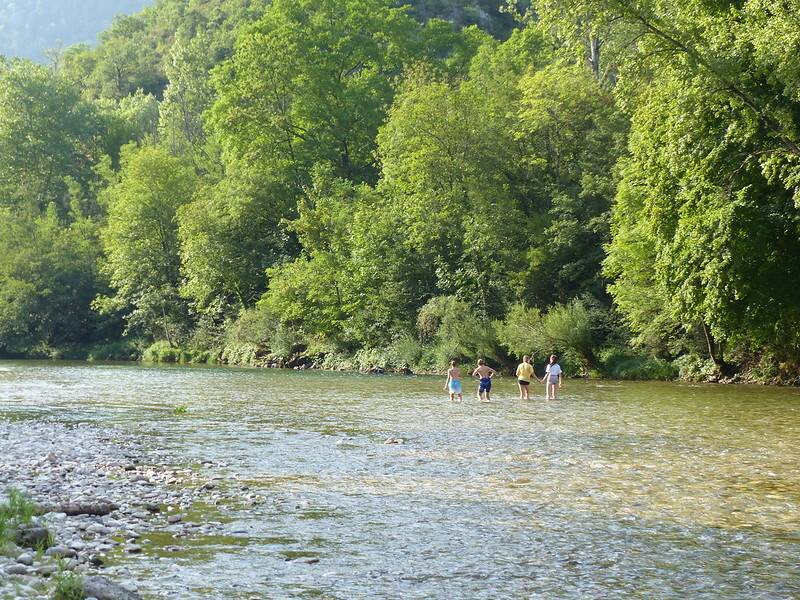 On the way back to the campsite, those of our kids who had accompanied us, along with TBF, decided to swim, but soon discovered that the water was mostly too shallow…. 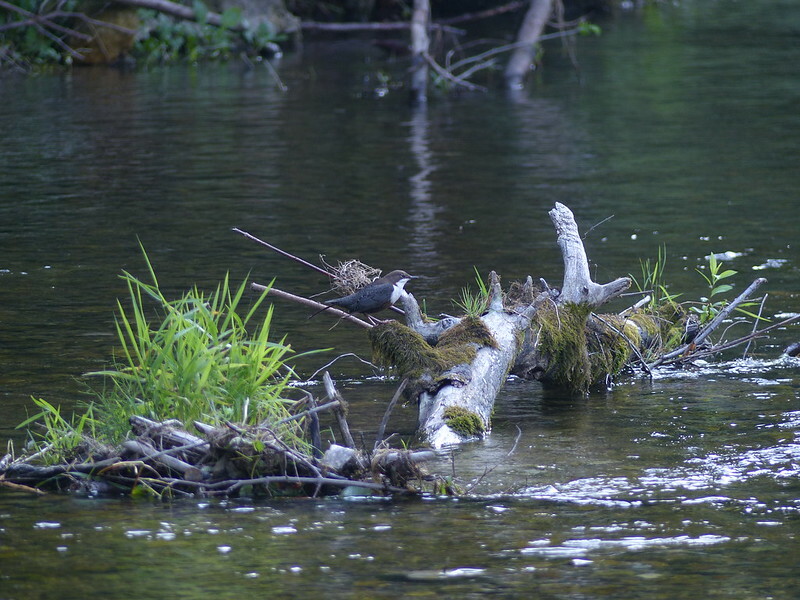 In my mind at least, these birds are closely associated with the rivers and streams of the North and so seem like old friends from home, and I was delighted to see them. In equal measure, it was a shame that our time spent holidaying with old friends was coming to an end. It had been a fantastic trip. 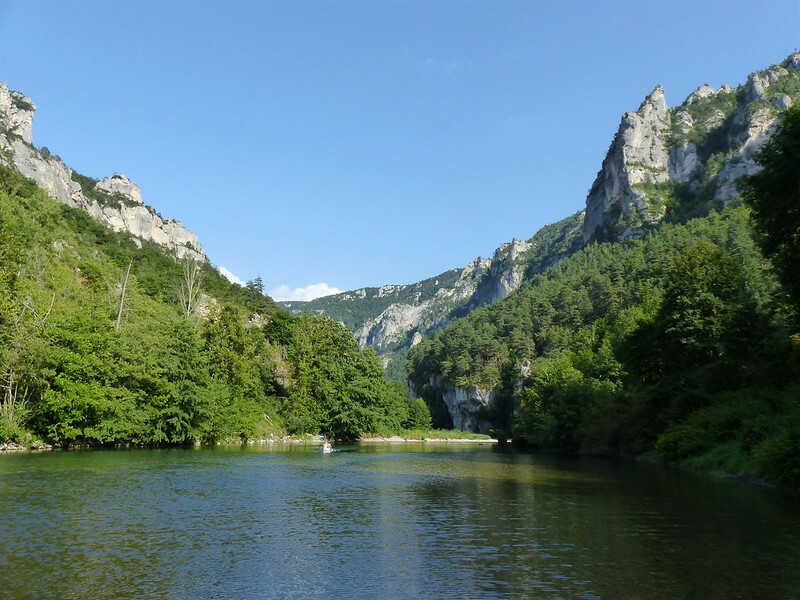 On final thought about the Tarn: it rises in the Cévennes, not too far from where we were camped, and runs through a limestone gorge and yet the pebbles on the river bed were in every conceivable hue and texture of rock imaginable. I was reminded of the diversity I marvelled at on shingle beach on a Baltic shore, when we visited years ago. So: if the Cévennes are limestone hills, where do all of these other, patently not limestone, pebbles originate? 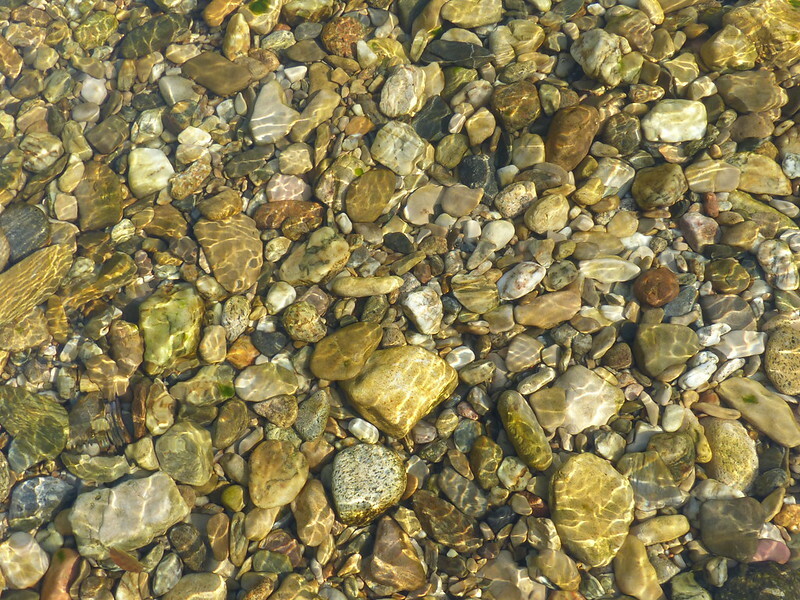 Stones probably washed down from the higher ground where the Tarn rises which I think has different rock strata. If we’d stayed further up the gorge we could have taken a trip up to near the source of the Tarn – very different, more like an UK upload heathland area. 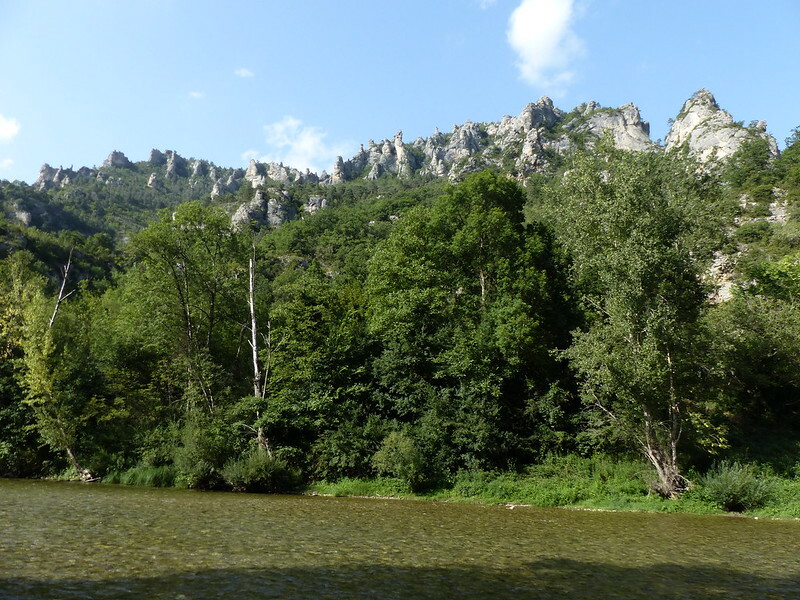 We will have to save that trip for our next visit to the Cevennes. A cheery thought! I loath this time of year.